Former Daily Show host, Jon Stewart and his wife, Tracey, and their family adopted rescued pigs, Anna and Maybelle as part of the Farm Sanctuary‘s upcoming New Jersey location. The new sanctuary is scheduled to open in the spring of 2017 on the Stewart’s farm. 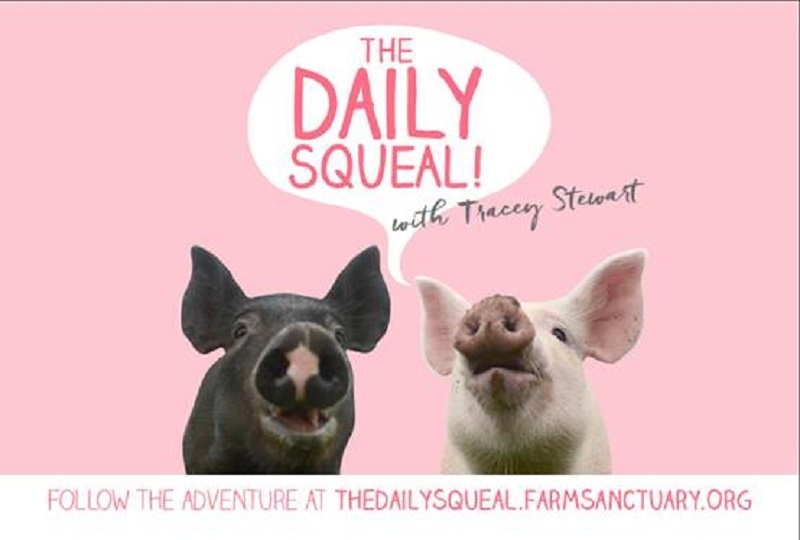 Watch this adorable video from Tracey’s website, The Daily Squeal, of Anna and Maybelle’s journey to live with the Stewarts. Like them on Facebook for updates on their farm!